1. Log into cPanel > before going to the Domains section > and clicking Subdomains. Domain: choose the domain name you wish to attach the subdomain to. 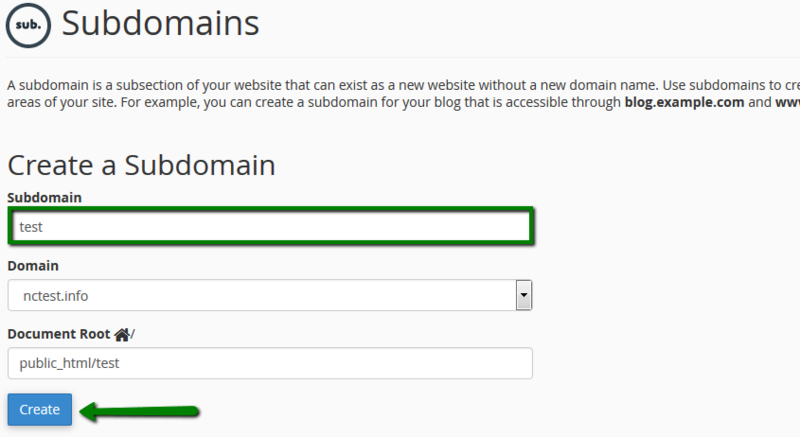 NOTE: the newly created subdomain should appear instantly, but can take up to 30 minutes.